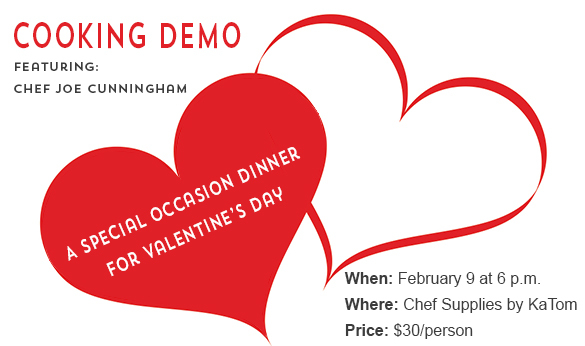 On February 9, Chef Joe Cunningham will demonstrate how to make the perfect special occasion meal just in time for Valentine’s Day! Chef Joe graduated from the French Culinary Institute and has worked all over the country from New York City to Blackberry Farm in Walland, Tenn. He lives in Knoxville now and works with various chefs in the area dealing with local produce.